We can’t believe 2017 is here already! It may be cold outside, but Fort Wayne is just getting warmed up! If you can brave the cold, there are plenty of great events going on around town this month that you won’t want to miss! Get 2017 started off right by checking out these exciting activities going on right here in Fort Wayne! If you’ve never been to the Botanical Conservatory, now is the time to go! With lush, beautiful forestry such as great big evergreens and colorful poinsettias, you couldn’t ask for a better winter scene! Visit their website for hours and more. Is it really winter if you don’t spend a day on the ice rink? The Headwaters Park Ice Skating Rink has certainly become a Fort Wayne favorite tradition around this time of year! Plus, every Wednesday, children 14 and under can skate for free! A night with the Komets is another Fort Wayne favorite tradition! Be prepared for a night of nonstop action from the first face-off to the final buzzer! Visit the Komets website to see their full schedule and more. Don’t let the cold keep you away from Fort Wayne’s biggest INDOOR farmer’s market. Every Saturday, hundreds of local vendors gather at the Lincoln Financial Center (just off the Parkview Field right field concourse). Enjoy a huge selection of fresh produce, meats, eggs, coffee, tea and much much more! Savor Fort Wayne is a 12-day long celebration, highlighting some of Fort Wayne’s most excellent restaurants. Enjoy limited time special menu deals at over 30 of the most delicious eateries Fort Wayne has to offer! If you’ve never been to some of these restaurants, now is the time to give it a try! You won’t be disappointed! Visit the Savor Fort Wayne website to see all of the participating restaurants. For the 4th year in a row, JK O’Donnell’s will be hosting a Winter Warmer! Come on out on January 14th to sample some of the best craft beer in the Fort Wayne area and beyond. January 17, don’t miss a night at the theater! The award-winning Broadway musical will be visiting The Embassy Theatre. Bring the whole family out to take part in this classic tale – glass slippers, fairy godmothers and all! Check out the Embassy’s website for ticketing and more information. Beat the cold and come on out to the 4th Annual Winterval Festival. There will be plenty of exciting indoor and outdoor events for the whole family! Don’t miss exciting events such as Ice Carving, a snowy rugby match, a free carnival, and more! January 28, visit Downtown Fort Wayne and take part in the fun! 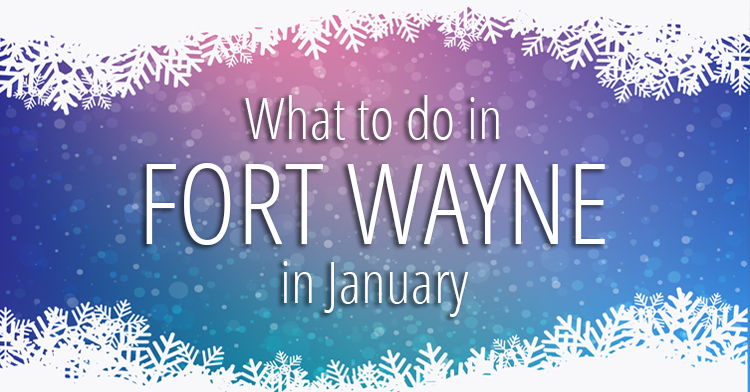 If you can brave the cold, it certainly won’t be hard to find something fun and exciting to do this month in Fort Wayne! Your friends at Montrose Square Apartments would like to wish you a very Happy New Year! This entry was posted in Fort Wayne and tagged fort wayne, jk o'donnell, savor fort wayne, winterval. Bookmark the permalink.